Einstein Law is proud to have launched three new custom sites in November 2018. All three firms have been clients for years, and we were excited for the opportunity to enhance their presence on the web by creating new sites designed to load in a flash on any device. Meanwhile, all of our sites are carefully designed to provide an intuitive and engaging user experience that lets the people who need legal help the most know that they have found the help they desperately need. 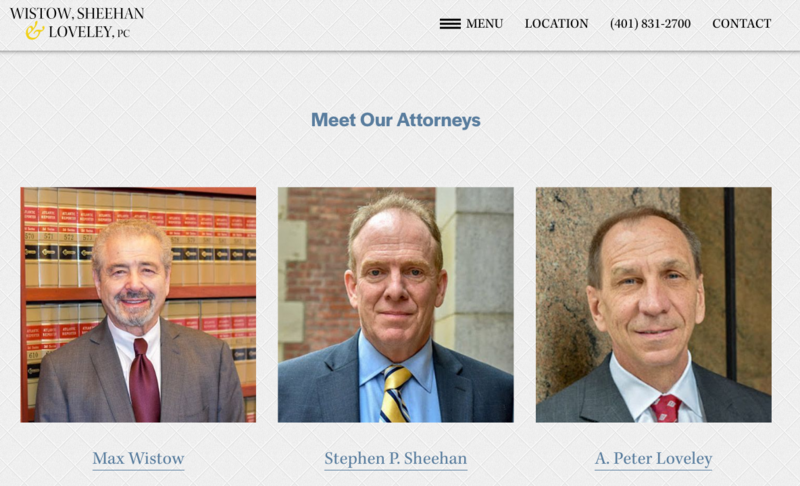 Winstow, Sheehan & Loveley in Providence, RI, has been a client of Einstein Law for almost 20 years. The firm, which handles personal injury, bad faith insurance cases, intellectual property disputes, and more, has moved into a custom site created using our Intrepid template with the Stone Blue color scheme. 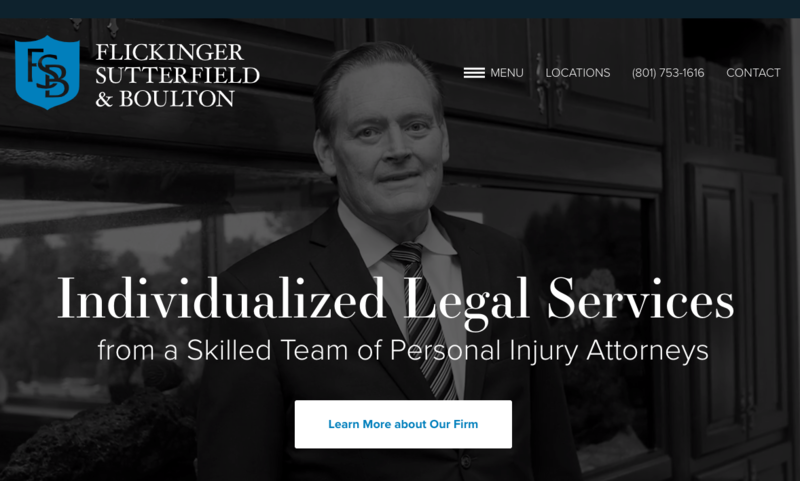 Flickinger Sutterfield & Boulton is a Utah personal injury firm who has worked with Einstein Law since 2015. This month, they upgraded their site using our Flux template with a custom color scheme. 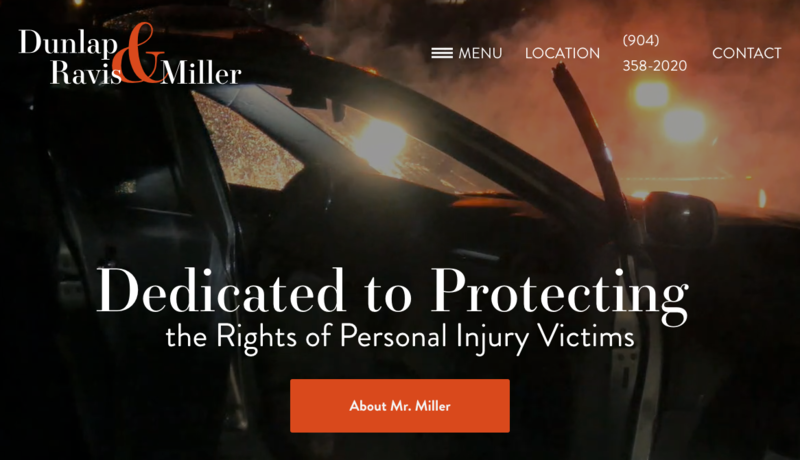 Since 2010, Jacksonville personal injury firm Dunlap Ravis & MIller has worked with Einstein Medical to stake their claim in the online marketplace. This month, we upgraded thier site using our Flux template and incorporating a navy color scheme. The need for an outstanding lawyer can arise anywhere and at any time. Einstein Law is committed to helping our clients become not only accessible from any device with an Internet connection, but also able to build trust through a simple visit to a website. Is your firm equipped to compete in your market? Are you interested in learning how we can help you to become more competitive? The team at Einstein Law invites you to reach out to us today to learn more about how we painstakingly craft every detail of our client's sites to make them more powerful marketing tools in every way. From a sharp-looking website to written content and graphics crafted to inform, persuade, and ultimately convert, Einstein Law can craft everything you need under one roof thanks to one of the most skilled teams in the business. Get in touch today by calling (888) 596-9822 to start a new chapter of success and growth in your market. Is your website performing as it should?